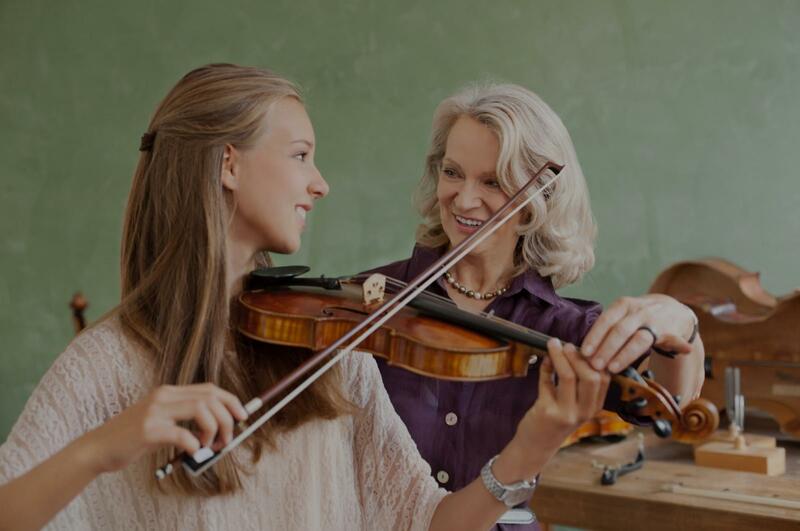 Coppell, TX Violin Lessons Near Me | Fun Classes. Top Tutors. I teach violin at beginners to advanced, I have 33 years experience of teaching and performance. I've graduated from National Pedagogical University in Ukraine where I've been classically trained on the best musikal traditionals. I am a professional violinist. I graduated from Kiev State University in Ukraine with a Masters of Music, in classic violin, voice, chorus conductor. I studied classical violin for 17 years and I have 32 years experience with children and teenagers of different ages as well. rtment ( I guarantee the honest)) in a wide age range, assorted skill levels with a variety of musical goals. Gentle and kind teacher of 6 years offering traditional and Suzuki violin lessons! I love teaching adults and kids at any level. I use mostly classical music to teach note reading, proper violin posture and technique but I also take my students taste in music into account and try to find music that is enjoyable for them to play. I encourage heavy parent involvement for students under 10 years old since I only see them once a week and you (the parent) see them every day. Lessons can be as rigorous or laid back as you wish; you'll get out what you put in. I would love to accompany and direct you or your child on your musical journey! Sharing the joy, beauty, and sense of accomplishment achieved by playing and listening to classical music is something that brings me great joy and pleasure! I progressed quickly as an 11-year-old beginner violinist and quickly realized that violin is what I wanted to do for the rest of my life. Not everyone that begins violin lessons will stick with it their whole life, but I want the chance to introduce students to (or help them progress in) a musical experience that can be life changing. ing Symphony as well as multiple college symphonies and chamber ensembles. These experiences have deepened my love and appreciation for music and my desire to share my talents with others. I am also a trained Music Together Teacher and enjoy helping young families bring music alive with their children in music class and at home. I have also worked as a Paraprofessional at Laramie Junior High School where I helped teach Orchestra. From these different types of training and experience I have gained insight on how to best introduce and teach musical concepts to students of many different levels. Every person is different and I would love the opportunity to teach in the way that is best for you. ungest learners. I highly recommend Ms. Cindy." "Cindy is very patient & attentive to my goals."